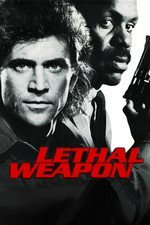 Lethal Weapon is one of 10 Movies You Forgot Were Set During Christmas. Who can forget the coke bust and shootout at the Christmas tree lot. It's a Shane Black Christmas special, one of many. The movie's so tightly wound up, it's like a rubber band ready to snap. Richard Donner, the director, throws action scenes at us like hardballs, and we don't know when to duck. All of the elements of this movie have been seen many times before - the chases, the explosions, the hostage negotiations - but this movie illustrates a favorite belief of mine, which is that the subject of a movie is much less important than its style. I'm a guy who is bored by shootouts and chase scenes. I've seen it all. But this movie thrilled me from beginning to end. 84/85 on Rotten Tomatoes, 3 stars and 16+ on CommonSense.